Of course it is quesadillas. It is our most made meal in this house. Hubs has perfected the quesadilla and he is awesome at taking anything we have as a leftover and turning it into a quesadilla. First he oils the outside of the tortilla. 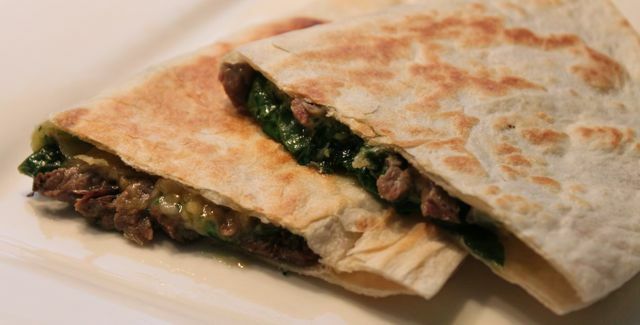 Then he puts some mexican cheese down on 1/2 of the tortilla, tops it with chopped steak and chopped spinach. He sprinkles on the corn and drops some cold chimichurri around the tortilla and tops it with some more cheese. 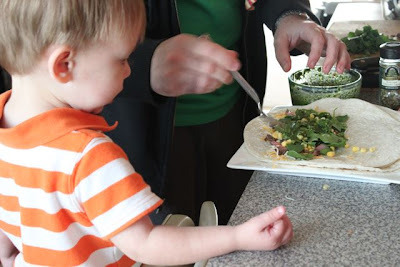 PB loves to help daddy make "dillas" and helps put all the ingredients on the tortilla. He claps when each "dilla" is done and goes on the griddle. 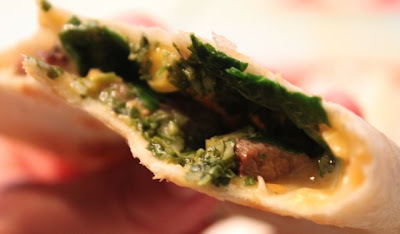 I love that when the quesadilla cooks the chimichurri spreads throughout and everything gets all melty and oozy. 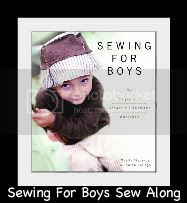 From one large steak we will have at least 3 leftover meals, sometimes 4. 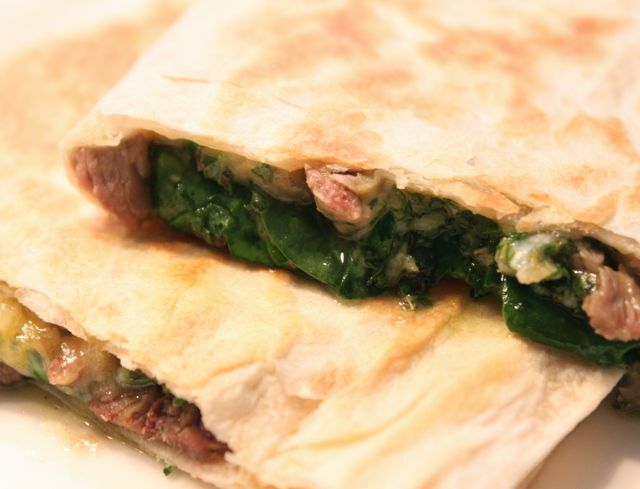 We always make the quesadillas twice. They make the perfect quick lunch on a sunday afternoon. Girl you're on a roll with using up those leftovers! quesadilla is my fav option so far =) just cause i love em!